Smart move by Magic to obtain the only player in the league willing to injure LeBron. Now he's safe. 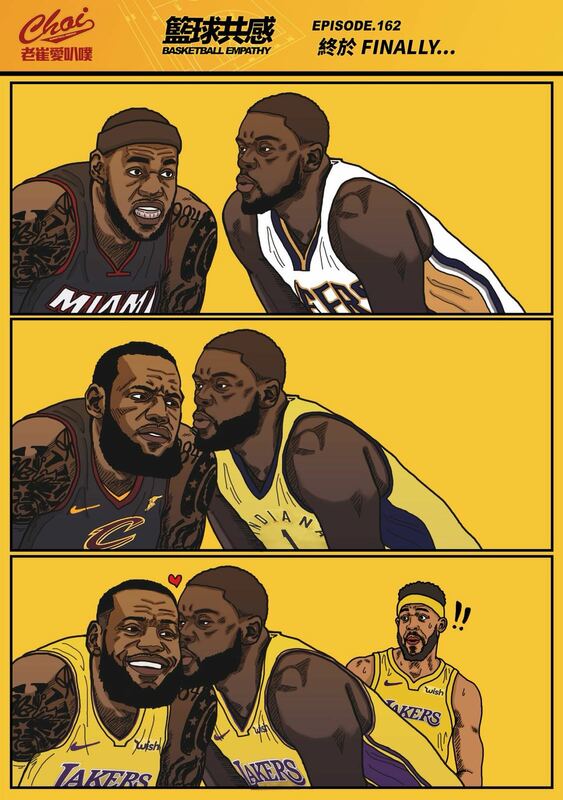 Now he can blow in LeBron's ear everyday at practice. Interesting, this might work well. This is just as baffling as the JR Smith deal back when Lebron joined the Cavs. You'd have to imagine that Lebron has signed off on this deal given their history. I really don't get this one. A lot of people thinks he's a good defender but the truth is he's terrible, I mean really bad. KCP and Stephenson, I wonder what this means for Josh Hart. Mixed feelings here. No defense and inconsistent offense. But when we're at home, he could be a good offensive player off the bench, whose job is just to score. Kind of like Nate Robinson. Somebody want to get to the bottom of this Lance Stephenson is a terrible defender thing. I wanna see stats, graphs, charts. Javale, sure. Would have preferred to keep Lopez or take a swing at someone like Noguiera. But at the minimum, it's fine. KCP, sure. 12m is a bit much, but for 1 year its fine. He's from clutch, so there's that. But Lance... i really struggle with that one. Lebron would have to have signed off on the deal given their history and maybe he's the only player who really could get under his skin. People were baffled at Lebron wanting JR in Cleveland too, but that worked out well. At first. There was that 2 year period i liked lance but something went very wrong for that guy and he wont ever be that player again. BUT...Lakers may view him as only a 15 minute guy mostly when Bron's taking a blow so fit doesn't bother me. Maybe he can get his act together and be an important piece on a really competitive team. Now Rondo too interesting mix coming together! magic is strong talks with bron about all these signing..